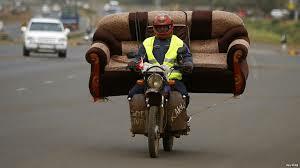 Remember to check The Lounge prior to going on the ride. Severe weather may result in the ride being cancelled. Details of meeting points for rides are listed on the calendar page. Meet at Piccolo Meccanico, 57 Chute St Diamond Creek at 8.00am. Leaving at 8.30am. This is a longer ride. Plenty of twisties. Lunch at Walhalla and returning via Thomson Dam. For those who aren't aware the Hangmore lounge was hacked and is no longer active. Use of the lounge has decreased in recent years so the committee has decided to use Facebook for all future communications to members. There are currently 2 Hangmore Facebook pages. A corporate page for posting events to members and the wider community. Just 'like' the page and you will receive all posts. The second is a closed group for club members. 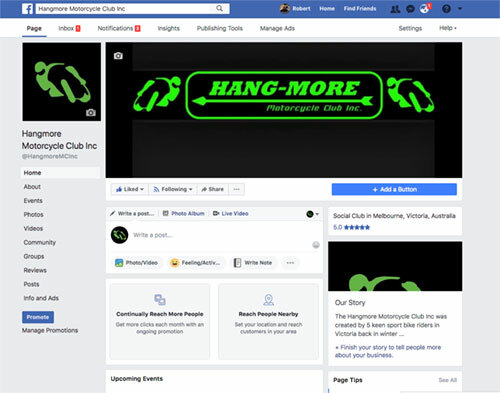 If you are currently a Hangmore member and are not yet part of this group please request to join the group on Facebook. Hangmore was designed for riders who want more from their motorcycles and from the roads and tracks they ride. The club welcomes members of all skill levels and experiences. With a dedicated committee there is always something going on with Hangmore. Membership benefits include access to all Hangmore only organised events and overnighters, well organised and structured rides, exclusive "Hangmore Only" track-days and more. Regardless of make or model, anyone who is keen on enjoying their sports bike is welcome at Hangmore. Here is a PDF on what we do, but the summary is.. 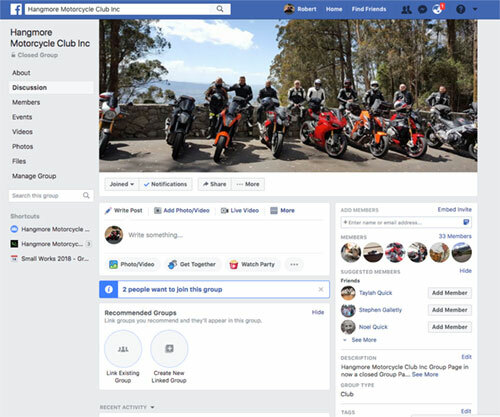 The Facebook group has been set up as a forum to service club members. In there you can, organise your own rides, catch up with the local gossip and anything from technical bike talk, to what other members are up to. It's there for anyone who wants to post something interesting or discuss anything to do with the club. Use of Facebook group is only possible if you are a paid up member. Once you are a paid up member please visit Facebook group and register. Once your registration has been received and your membership verified you will be granted access by the "Webmaster". If you have any problems please feel free to contact us for assistance.